A user with access to Subscription sales can access the tools to manage subscribers and their subscriptions. 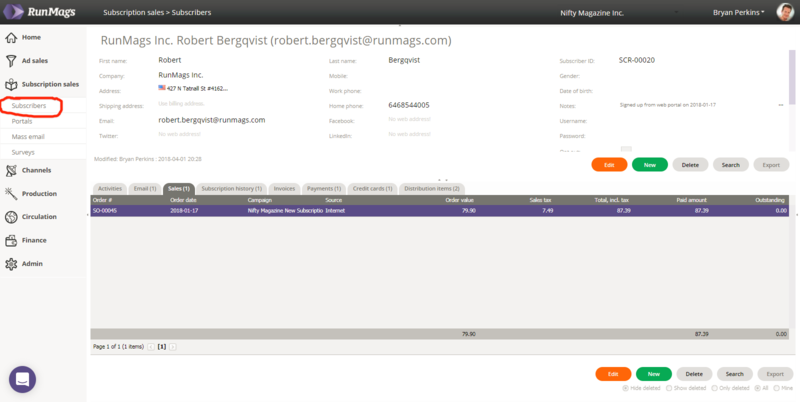 RunMags distinguish between Subscribers and Subscriptions. A Subscriber is an individual while the Subscription is what the Subscriber buys. A Subscriber can have more than one (active and/or inactive) subscription. By subscriber, you can track activities, sales, their subscription history and renewals as well as email in the related tabs.